How will new IR35 rules affect joint directors? Contractors’ Questions: How will new IR35 rules affect joint directors? 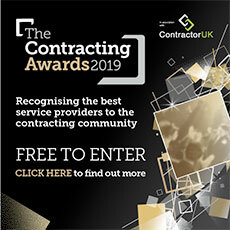 Contractor’s Question: How will the envisioned IR35 framework in the private sector from April 2020 affect PSCs that have two directors taking a salary, including where one director has another job? Expert’s Answer: IR35 is assessed on a contract-by-contract basis. If both directors solely engage with end-clients through contracts for service, then they will both individually need to consider their IR35 status and apply the rules accordingly. It is perfectly possible for the two directors to have different IR35 statuses, even at the same end-client. This will depend on their contractual terms, what they have been engaged to do and the actual relationship with their end-client. Where a director engages with an end-client and in addition has employment elsewhere, he/she will still need to consider his/her IR35 status. If the contract is found to be outside IR35, the contractor will be free to undertake suitable tax planning that can maximise their overall income while minimising tax. If they are found to be inside IR35, a deemed salary calculation will need to be run and appropriate tax and National Insurance deducted. The contractor’s accountant will need to provide advice in relation to the overall tax position as it is likely the contractor’s personal allowance will be allocated to his employment income leaving his salary from his company taxed on at basic rate. Lastly, it might interest you to know that if one of the two directors is not end-client facing and is solely providing services and support to the limited company, IR35 will not apply to them. The expert was Helen Christopher, operations director at contractor accountancy firm Orange Genie.